Tom Jose came in with an experience of being a management consultant for one year and as an IT consultant for around 3 years in SAP before he co founded TalView along with Sanjoe Jose – CEO, Subramanian – CTO, Jobin Jose – COO in 2012. They had developed this platform with intent to help institutes design mock interview training for their students. Since there was a lot of hype built around B Schools for placements, they thought of bringing up with an analytic tool to evaluate the students using alumni and by professors. They went around the leading colleges in the country and began selling their product and the college management loved the product and began giving them the Purchase Orders immediately. They had around 40 lakhs of Order Book but they failed. They realized that they had ignored their main stakeholders who will be implementing this – The Professors who were not willing to implement this for many reasons and Talview team went into a roadblock and could not proceed with the college segment. While discussing their product with one of their friends from HR industry they got a comment about how it may be useful in recruiting space to conduct asynchronous remote interviews which can solve problems like scheduling conflicts location constraints etc. That comments translated into a new idea for them to focus, they pivoted the product offerings during this stage. Since none of them came in from a HR background, they did not understand the HR space and they went to a few friends who connected them with some HR personnel they had known and they learnt the issues of the HR department like fraud interviews, time and cost savings they are doing for their potential clients and began modifying the product a bit and also changing the messaging. Once they pivoted from a mock interview to a screening tool, they went in with their MVP and began identifying the early adopters. They read multiple articles in both newspapers and social media to track HR folks who spoke about adopting newer technologies and initiatives like Social media sourcing, analytics to name a couple thereby identifying those HR people who made lot of impact by writing articles exhibiting their thought leadership in adopting IT in HR. This way of identifying thought leaders got them the early adopters who evangelized this product within their organizations. Since HR was traditionally slow in adopting IT, they approached them with the product and demoed to them with an intention to collect feedback but they were surprised that many of their prospects did not even think that this was possible and when they saw a solid use case which will add benefits, they began signing up very fast and the team was surprised that some companies made it a compulsory process within 3 to 4 months. Their another assumption was broken when they were surprised with traditional like Pharma and Steel adopting this at the same rate that their main focus industry – IT was lapping it up. Tom says that adopters are there in all industries – for eg, a person who likes to flaunt their new iPhone and an iPad those days and tell others on how they are using it were early adoptors who one needs to go after and they will evangelize your product within their organization if they are convinced. The other thing that worked in their favour to get customers was that the entire team took only 2 weeks at best to implement a feedback from a prospective client and go back to them to show that they have actually done it and demonstrate it and that won them the first 15 to 20 customers. Over a point in time, Tom and his team began documenting the profiles of each of their buyers at multiple levels of HR based on their conversations in the past and maps out the messaging in reference with the buyer persona. They had mapped around 150 companies where they had met multiple stakeholders in the HR department and understood the problems each level in HR faces . For eg, Tom quotes that a HR head bothers more about budgeting, candidate experience and branding etc while a HR manager bothers about time lines to interview candidates and making them join within a specified time and nothing else and their sales team began talking the relevant things that mattered the most to the right profile of the prospects and that got them faster closures. In the last two years, they developed a sales process document where they train the sales team on what profiles the customers can have and what sort of leads they should be chasing and what they should be telling and thereby reducing the sales cycle and also keeps updating the sales process as and when new inputs will come in. Tom’s advice to startup founders – Spend lot of time in understanding who your early adopters are and things will be easy for you. Don’t be in a hurry and assume and waste time and effort in penetrating the market. 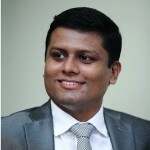 Talview(https://www.talview.com/), ensured that they were in the right places instead of just concentrating on the product development only and have been winning awards since the first month of launch starting with TiE award in 2012 for the being the best Start-up in India and they also won a few other awards likeNasscom Emerge 50 2013, Top 50 product companies by iSpirit , Top IT product company award by Bangalore ITBiz , IBM smartcamp award , Hot 100 companies in CIO review to name a few. They have around 70 large customers which they directly go to, sell and engage with and around 1000 customers which they acquired using an Inside Sales Model and the total video responses that their customers conducted is above 1.2 million video responses in more than 100 countries. They raised their first round of funding by Venture Nursery and had a second round of funding by Mayfield ventures.